In 1917, a ship full of explosives en route from New York to France exploded in Halifax Harbor, Nova Scotia. Killing 2,000 people and wounding 9,000 more, the explosion leveled 2.5 square miles of Canada. 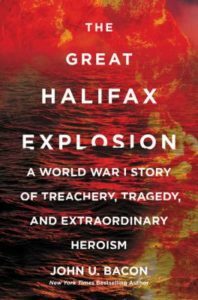 In The Great Halifax Explosion, author John U. Bacon combines engaging human interest stories with what happened leading up to and after the explosion (which was the largest in the world until the atomic bombs were dropped in 1945). He introduces readers to the families of Halifax and details their daily lives in this fascinating story. For fans of history books with a personal narrative. If you visit Halifax, you can see the Mont Blanc Anchor. Learn more from Canada’s Historic Places. In this engagingly readable mix of art, history, and biography, author Ross King details the later years of Claude Monet’s life. 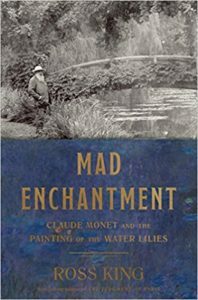 Set against the backdrop of WWI, Mad Enchantment documents Monet’s work on paintings both large and small as well as his life in Giverny, France (and his relationships with other artists such as Renoir and Rodin). The prolific artist, although hindered by grief and failing eyesight, produced the massive paintings found in l’Orangerie in Paris. On October 28, 2016, the historic Willowbrook Ballroom burned down. The legendary ballroom and banquet hall in Willow Springs started as the Oh Henry Ballroom in 1921. It had its heyday in the big band era of the 1930s and 1940s featuring bands such as Jimmy Dorsey and the Glenn Miller Orchestra. When ballroom dancing was on the decline in the late 1960s and 1970s, Willowbrook Ballroom featured Chubby Checker and such bands as The Cryan’ Shames. Supposedly it was the last place Resurrection Mary danced before she left and was hit by a car. There have been sightings of her ghost in the Chicago area. 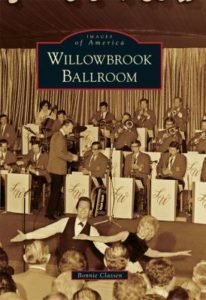 Check out Willowbrook Ballroom by Bonnie Classen to reminisce. Anyone who grew up during the race to the moon era can identify with the mystery and mystique of the astronauts. This nonfiction account from the perspective of their wives may disenchant some, but readers will have a whole new respect and admiration for these great American women. 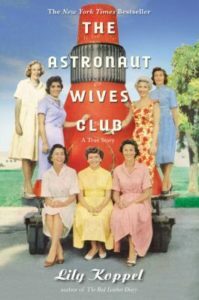 In The Astronaut Wives Club, Lily Koppel does a good job of presenting the facts and opinions through extensive research and interviews in a story-like format. The epilogue ties everything up in a neat package explaining what happened after the space race was won and life returned to normal. 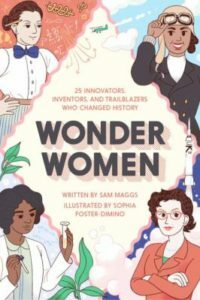 Women can do anything, and the newest book by Sam Maggs, Wonder Women, proves it. This little book is packed with 60 women who changed history through innovation, invention, and good ole gumption. Amongst these trailblazers are names you might recognize like Ada Lovelace, Bessie Coleman, and Madame C. J. Walker, but the majority will be new to most readers. Some of my favorite stories are Anandi Joshi, who was both one of the first female Indian doctors and the first Hindu women to come to America; Mary Bowser, a former slave acting as a spy during the Civil War; and Marie Equi who horsewhipped a universally hated swindler/ reverend halfway across the town. Nestled between the engaging stories are interviews with today’s top women scientists, doctors, and former spies. Maggs guides readers easily through past and present with her conversational style and humorous wit. Were there cannibals in New Guinea even during the mid-twentieth century? 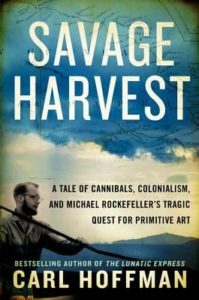 Savage Harvest suggests there were and that they may have been involved in the disappearance of Michael Rockefeller in 1961. Michael was there collecting native art for a New York museum founded by his father, Nelson, but was lost, never to be found when his catamaran overturned in rough weather. Michael’s colleague Rene Wassing was rescued the day after Michael swam away from the overturned craft in hope of reaching shore. Carl Hoffman speculates what may have happened to Michael based mainly on hints and rumors he discovers in 2012 while tracing Michael’s journey among the Asmat people in New Guinea. Savage Harvest gives a beguiling view of Asmat culture, art, history, and superstitions while trying to uncover the mystery of Michael’s disappearance. In his acknowledgments, Erik Larson reveals his own enjoyment in researching and writing the account of this final voyage. 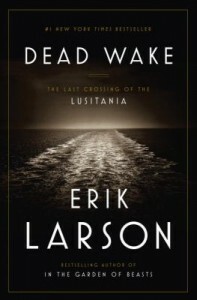 In Dead Wake, the reader is allowed to share by introduction to this great ship, some of the passengers and crew, and then reading along with them about this 1915 Atlantic crossing. Even though there has been reports of German submarine activity, Captain Turner is reassuring as he speaks of the ship’s great size and speed. No one seems afraid but the reader knows what to expect. Sometimes the narrative departs the ship to see how President Wilson is doing after his wife’s death, how the British secret service is using information gained from breaking the German code, or what Churchill might do to bring America into the war. The reader sees both sides as he rides along with Kptlt (Captain) Schwieger of the German submarine service on entering British waters looking for targets but avoiding British warships. Although deadly, these early submarines are slow and most incommodious for the crew as compared to surface vessels. Back on the Lusitania, lifeboats are uncovered as it enters Irish waters. And then nearly 100 years later, scuba diving archaeologists voice respect for the lost souls down below. 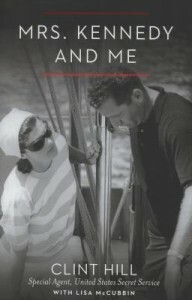 This book is a wonderful accolade to Jacqueline Kennedy. Clint Hill‘s story is beautifully written as he relives the happiness and agony of his time spent as Mrs. Kennedy’s secret service agent. Watch Clint Hill discuss Mrs. Kennedy and Me on C-SPAN. We’ve all heard the stories: in October 1938, Orson Welles adapted the classic alien invasion novel The War of the Worlds for radio and the broadcast was so realistic that it made people flee from their homes in terror. Or maybe you’ve heard that it was all a myth, that newspapers made the whole thing up to try to discount the new medium of the radio. Like most stories, the truth is somewhere in between. Orson Welles’s broadcast really did frighten listeners, and some people did leave their homes, but the panic was not as dire as history would remember—nor was it as simple. 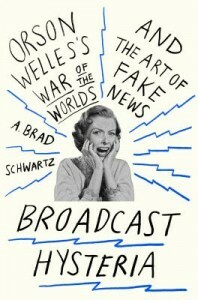 In Broadcast Hysteria, A. Brad Schwartz uses newspaper articles, Princeton research, and first-hand accounts to examine the many factors that made the War of the Worlds broadcast such a sensation, including the Nazi rise to power, previous radio-based panics, the use of fake news bulletins, and much more. You won’t believe how intricate this web can be—or how much it has influenced media today. 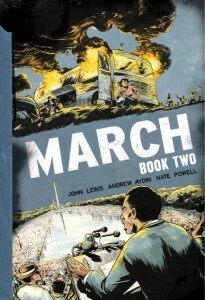 Written in a graphic novel format, book two of U.S. Representative John Lewis’ autobiography, March, begins with President Obama’s first inauguration, and then quickly flashes back to the Nashville, 1960 diner and movie sit-in campaign. When he was 23 years old, Lewis became chairman of the Student Nonviolent Coordinating Committee (SNCC). He also participated in the dangerous and deadly Freedom Rides into the Deep South, and spoke at the historic March on Washington. Lewis recounts the internal struggles of the civil rights movements, such as the pressure he received to change his March on Washington speech as well the challenge to nonviolence approach that groups such as the Black Power movement posed.